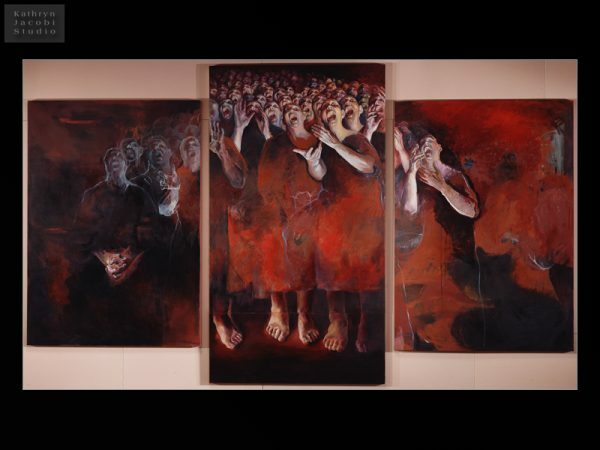 Opening on Saturday, May 21rst, 2016, I’ll be participating in a show called “Essence” at the Gloria Delson Contemporary Arts Gallery, at 727 South Spring Street in Downtown L.A. Two of my largest paintings: Requiem Chorus which has never been shown in Los Angeles, and Sleepers which also has not been shown here in L.A. will be hung. They are two of my favorite paintings ever! (There will be a few smaller pieces available as well.) Please scroll down to see the image of Requiem Chorus. Below that, please take a look at the gallery invitation. They will also be on view at the exciting Downtown Art Walk on May 12. I will be there for both events, and so hope you can come to one or both of them, or to see the exhibit throughout the month of May. 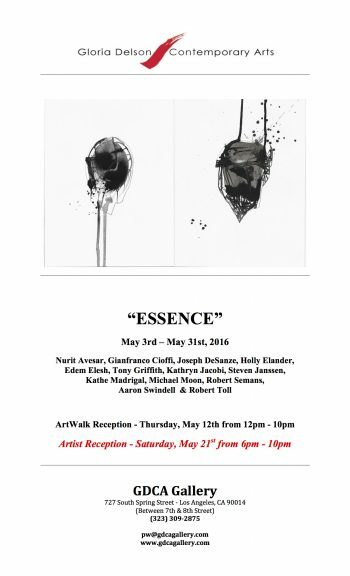 For the ArtWalk, Petra Wright, the gallery director, will be there from noon until 10:00 p.m. on Thursday May 12th. The actual full blown art-walk is from 6:00-10:00— I will be there from 6:00 through 10:00 p.m.